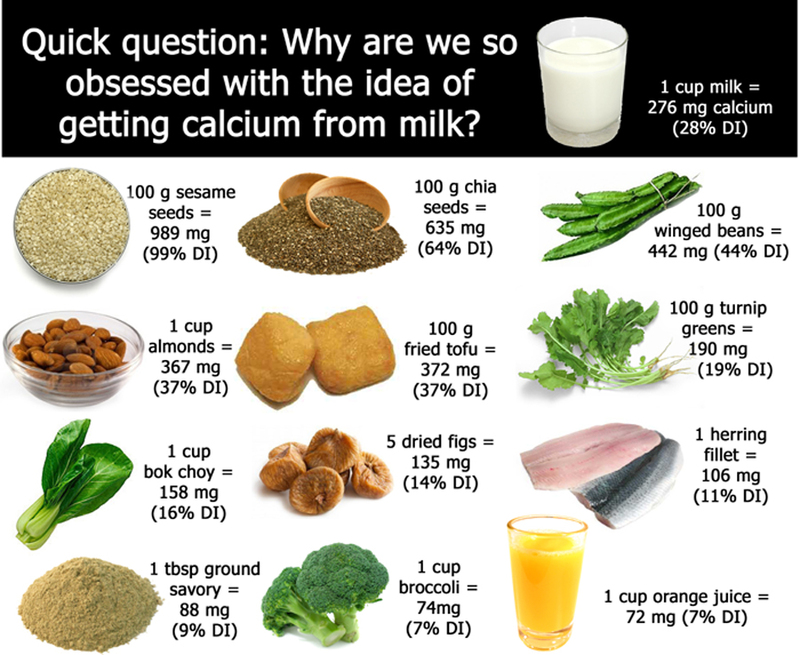 To help build strong bones and prevent osteoporosis which leads to fractures as we age, our diet should include a good source of calcium. I'm sure many know the slogan "milk does the body good" or seen the milk mustache person advertising the need for you to consume milk...a rich source of calcium...for strong bones and teeth. I hate to be the bearer of news that contradicts everything our moms have told us for years but studies are leaning towards milk not being the best source for strengthening our bones to prevent osteoporosis in our senior years. Several studies have found that women who consumed three or more glasses of milk a day had a higher risk of fracture and a higher risk of death. Men who drank three or more glasses of milk a day had a slightly higher risk of death -- mostly associated with cardiovascular death -- compared to those who drank less than one glass a day. And there was no reduced risk of fracture as milk consumption increased. Another thing to consider is that 65% of people are lactose intolerant so dairy causes stomach upset and sometimes chronic diarrhea. 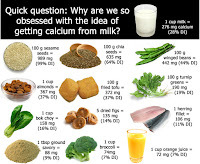 Read more about working to build and maintain bone health and alternate sources of calcium.